Here are some tips & resources that will save you money & definitely help you make the most of your recording project. Producing 'Tempo Maps' of each song will really speed up the recording process in many ways especially with creation of the click tracks & therefore save you lots of money & days in the studio. Simply fill in the name of each part of the song, time signature, tempo, number of bars that section is played & the running total of bars in the last column. You will need to bring two sets of lyrics with you for each song, one for the vocalist (even if you know the words off by heart) & one for myself, each song on a separate sheet, typed for preference & double spaced with line numbers if possible. 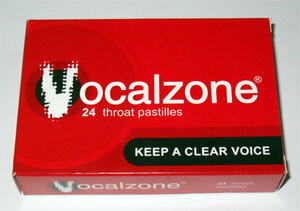 Also pick up a couple of packets of 'Vocalzone', you can get them from boots & most chemists, they will help if your voice gets a little fried at the end of a long session. A couple of spare sets of stings each are essential, & obviously a set of new strings fitted the night before the session. New drum heads are a must; they are the single biggest thing that will make a difference to the quality of your drum sound on the recording. I strongly recommend 'Aquarian' drum heads. They might sometimes be a little more expensive & harder to source (in the UK) than the sometimes cheaper 'Remo' brand. But the difference in sound quality, consistency & reliability is huge. I honestly cannot recommend 'Aquarian' heads enough. Mylar (The material they make the majority of modern drum heads from) breaks down over time & becomes dull unresponsive & difficult to tune. As a rough guide, batter heads (the top ones you hit) should be replaced every 6 months & Resonant heads (the bottoms ones) every 12 months as a minimum. New fresh drum heads will not only save you money & time in the studio because, the tuning time in between takes is dramatically reduced. But will also make your drum sound considerably improve on the recording. Factory head's (the ones that come with a new drum kit & have the drum manufactures logo on them) are all garbage, they might have a reputable brand logo & model on them, but they are an inferior head that the manufactures buy in cheaply, to keep cost down and profits up. Factory heads should be immediately replaced for new genuine heads, and never should be used for recording. The new heads should ideally fitted 3 to 7 days before your studio session to allow the new heads time to bed in properly. Spend a few minutes going over your kit to make sure there are no annoying squeaks or rattles, lube, tighten & make repairs as necessary.